Summary: Light rain on Monday through Wednesday, with high temperatures peaking at 77° on Sunday. Owner of Salida’s CRS Timber Products, Shawn Cheeseman talks about the effects that the spruce beetles have had on portions of the trees on Sept. 26 on Monarch Mountain. Scott Pressly, vice president of mountain operations, left, and Randy Stroud, general manager/chief operating officer of Monarch Mountain, point out the areas of standing trees killed by spruce beetles on Sept. 26. 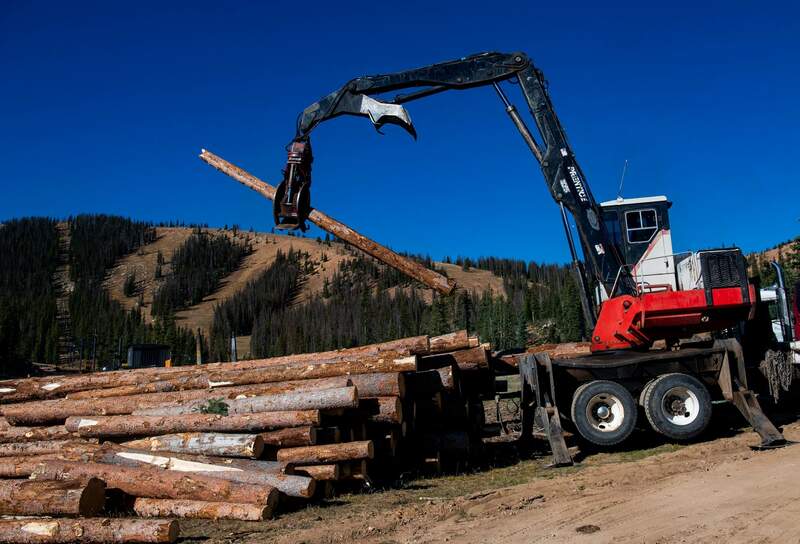 Trees that have been killed by spruce beetles are cut down and about 60 percent of this season’s salvageable trees can be sold to lumber mills in Salida and Montrose, subsidizing some of the cost to Monarch on Sept. 26 on Monarch Mountain. An estimate of 500 trees lay in a collection as they were cut down after being killed by spruce beetles on Sept. 26 on Monarch Mountain. 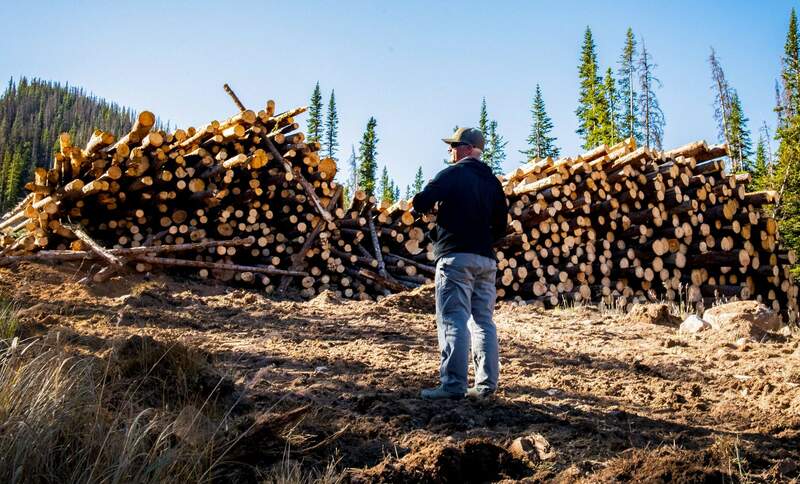 Scott Pressly, vice president of mountain operations, is surrounded by 500 trees that were cut down after being killed by spruce beetles on Sept. 26 on Monarch Mountain. A collection of fallen trees lay in a pile as they were killed by spruce beetles on Sept. 26 on Monarch Mountain. COLORADO SPRINGS (AP) – Faced with thousands of dead, standing trees killed by spruce beetles, Monarch Mountain is undergoing its most extensive forest management project to date. Alongside the Pikes & San Isabel National Forest, Monarch Mountain will identify and cull infected spruce trees across 400 acres, 120 of which will be treated before the ski season. The rest will be addressed over the next four years. Spruce beetles reached the Monarch area en masse in 2012, carried north by the wind from the Weminuche Wilderness. They landed in the San Isabel National Forest, which was weakened by persistent drought and fire suppression. The beetles bored through the bark of its hosts, encircling the bark and killing the trees. The needles of the doomed trees turn a pale yellowish-green color, with resin streaking down their trunks, which become spotted with exit holes. Many toppled like dominoes and left areas almost impassable by foot. 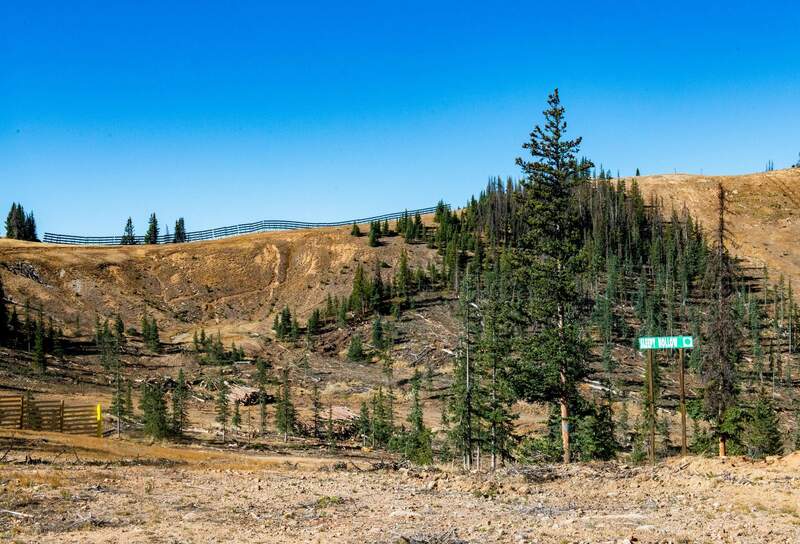 Those still standing threaten recreationists, Forest Service and Monarch employees, and infrastructure, including U.S. 50 and two major transmission lines running over the pass. In terms of forest health, the homogeneity of the age class of the trees allowed the spruce beetle to run rapidly along the Continental Divide. New trees and vegetation struggle to navigate through the few nooks and crannies left by the tangle of down trees, impeding regrowth. Changing the dynamics of the ages and species of trees by thinning will help the resiliency of the forest as well as a reduction in fuel loading. Like much of forest management, thinning is not equivalent to clear-cutting, even though 75 percent of the trees in the area are infected. 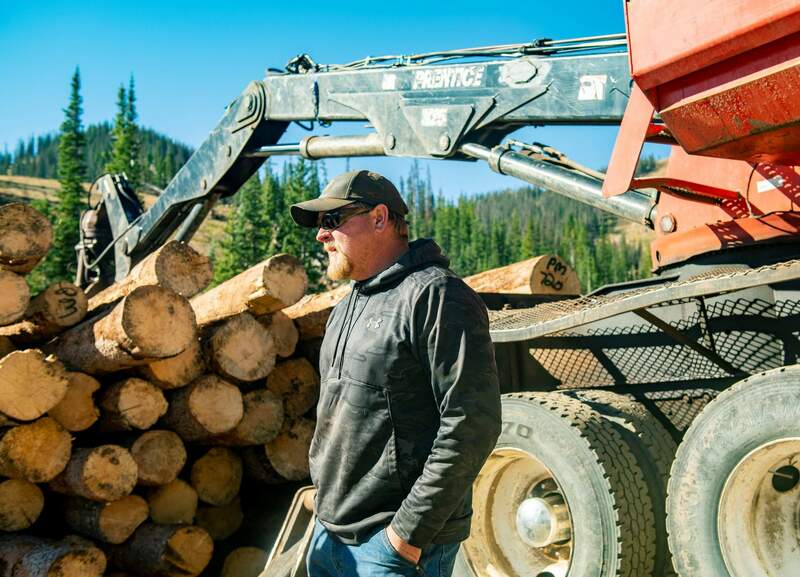 Armed with a feller buncher, the owner of Salida’s CRS Timber Products, Shawn Cheeseman, can target a single tree, pluck it out of the ground and remove it from its cluster without knocking over its neighbors. Such an ultra-selective harvesting method extends his team’s work from a week to more than a month. It’s necessary, though, if the ski resort is to retain any of its trees as well as the variety of ski runs they create. “The thinning will actually open up more terrain for tree skiing,” said Scott Pressly, vice president of mountain operations at Monarch. “There are areas that I could dip into during the midwinter with a lot of snow but would still be ducking under trees. Now, there will be areas that I’ve never skied before that will be open. 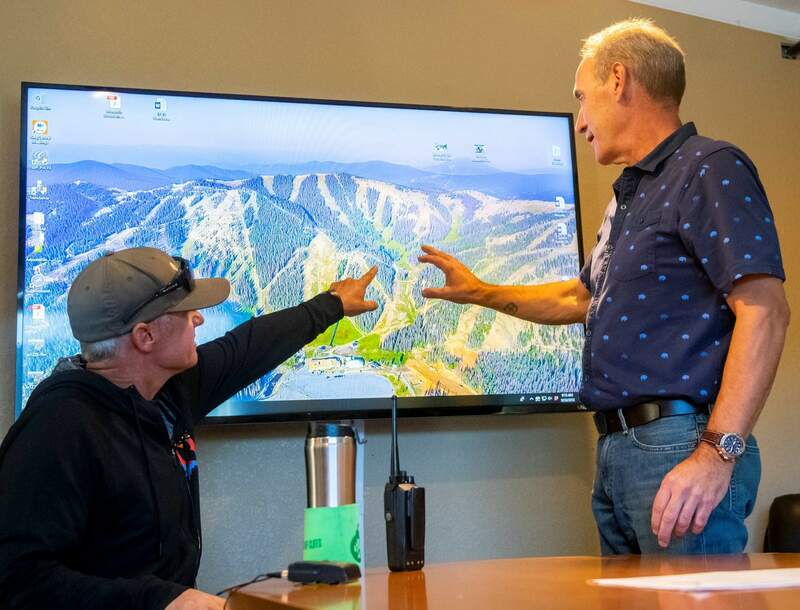 With the labor, machinery, transportation and other costs, the project is in the “hundreds of thousands of dollars,” a distressing figure for one of seven remaining independent ski resorts in the state, said Randy Stroud, the mountains general manager and chief operating officer. 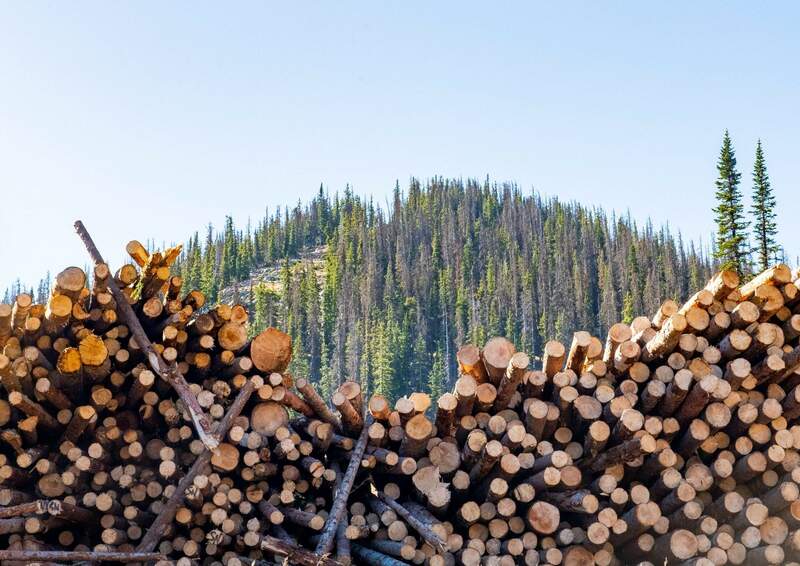 About 60 percent of this season’s salvageable trees can be sold to lumber mills in Salida and Montrose, subsidizing some of the cost to Monarch. But over the following four years of the project, that percentage will drop, incrementally boosting the cost of thinning to the ski area. Yet, as leasees of land, Monarch employees feel an obligation to treat the land as if was their own. “As a ski area operation, we have a responsibility to be good stewards of the land while we’re here,” Pressly said.